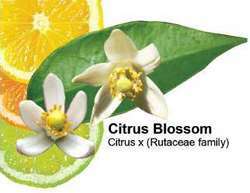 widely used edible fruits of plants belonging to Citrus and related genera of the family Rutaceae (orange family). Included are the tangerine, citrange, tangelo, orange, pomelo, grapefruit, lemon, lime, citron, and kumquat. name for a tree of the family Rutaceae (rue, or orange, family), native to China and Indochina, and for its fruit, the most important fresh fruit of international commerce. ..... Click the link for more information. , class Magnoliopsida, order Sapindales, family Rutaceae. Beautifully scented waxy flowers with a citrusy lemon flavor. Don’t eat too many at one time. or pomelo (Citrus paradisi), a fruit that grows in grapelike clusters, a fruit tree of the genus Citrus, family Rutaceae. Height, 15 m.
The leaves of the grapefruit are large, oval, and leathery, with alate petioles. The blossoms are white, bisexual, and single or in bunches of two to 20. The fruits are large (as much as 15 cm in diameter), round, slightly flattened, and single or in clusters of two to 15. The skin of the fruit is thick (about 1 cm), smooth, shiny, and pale yellow: it can be removed from the pulp only with difficulty and has a distinctive odor. The pulp is yellow or greyish-green, occasionally pink, and is very juicy and aromatic. The taste is bittersweet because of the presence of the bitter glycoside naringin. The fruit is composed of 88.5 to 90.9 percent water. 3.86 to 6.78 percent sugars, and 1.42 to 2.38 percent acid. The skin is composed of 9.19 to 19.04 percent pectic substances. Up to 45 mg of vitamin C are contained in 100 g of juice. The fruit has dietetic and medicinal value. It stimulates the appetite and improves digestion and is used fresh for juice, jam, and stewed fruit. The average yield of a tree ten to 15 years old is 200 to 300 fruits. Grapefruit cultivation is developed everywhere in subtropical regions, including Georgia in the USSR. The best varieties are Duncan. Foster, and Marsh seedless. The Sukhumi experimental station for subtropical crops of the All-Union Scientific Research Institute of Plant-Growing has introduced the relatively frost-resistant and early-ripening types Hybrid No. 1537 and Hybrid No. 2974. The agricultural technique of growing grapefruit is similar to that of the orange, lemon, and other citrus crops. Citrus paradisi. An evergreen tree with a well-rounded top cultivated for its edible fruit, a large, globose citrus fruit characterized by a yellow rind and white, pink, or red pulp. Reports on the acquisition of Jabong were in the media since past couple of weeks, while the probable buyers included Jasper Infotechs Snapdeal, and titans Aditya Birla Group, Future Group and Reliance Industries Ltd.
Jabong is valued by its key investor Rocket Internet at EUR388m (USD491. A Jabong official said the deal would be closed within the next six months, and would be at two times the firm's annual sales. Other firms like Snapdeal, Future Group and Aditya Birla Group's Abof were also in the fray to acquire Jabong as fashion and lifestyle is one of the biggest drivers of e- commerce growth in India While Myntra will benefit from Jabong's stronghold in categories like women's apparel, the transaction will allow GFG to refocus its business on core markets. The Mahindra Group, e-commerce giants Flipkart and Jabong, courier majors Aramex DTDC, gojavas and Delhivery, global supply chain Kerry Logistics and many other biggies use GreyOrange robots. IT wasn't a smooth ride for Amit Singhand Deepanshu Malviya, former colleagues at Jabong, when they launched a vernacular micro news app called Vande, followed by an impersonation app Zorry ( a play on ' sorry'). Using the Freecharge Go card consumers will be able to shop at leading e-retailers, like - RedBus, Jabong, Goibibo, Freshmenu, Peppertap, Zomato, Ferns & Petals, GiftXoXo, Yatra. The company has succeeded in gaining the trust and has partnered with more than 50, 000businesses such as Caf Coffee Day, PVR, Dominos Pizza, Pizza Hut, Tasty Khana, Just Eat, eBay, Jabong, Snapdeal, Shop Clues, Home Shop18 and others. It will be "Rohit Bal for Jabong and the price range for my creations will be form Rs 6,000 to Rs 18,000. BSNL-Champion products would be available through the following 4 channels which are as follows- Online (e-commerce portals like Snapdeal, Flipkart, Jabong, e-bay), Multi-brand retail outlets / large format retail outlets, Traditional Distribution- Retail channels and BSNL retail / sales channels (franchisees). Summary: New Delhi [India], Jan 22(ANI): Online fashion marketplace Jabong targets 80 percent sales growth and seven-fold revenue growth over average daily sales with its Big Brand Sale, scheduled from January 25 to 28. There is Mahendra Singh Dhoni, Captain of the Indian cricket team, who owns an array of superbikes; Sanjeev Mohanty, ex-CEO of Jabong, who uses a Triumph Explorer XC; there is George Muthoot, Chairman of the Muthoot Group, who rides Triumph's 800-cc Tiger; there are Bollywood celebrities like John Abraham and Ranbir Kapoor, whose passion for biking is known to all.